If you know me you know that I love a good bargain, not to mention a good sale. 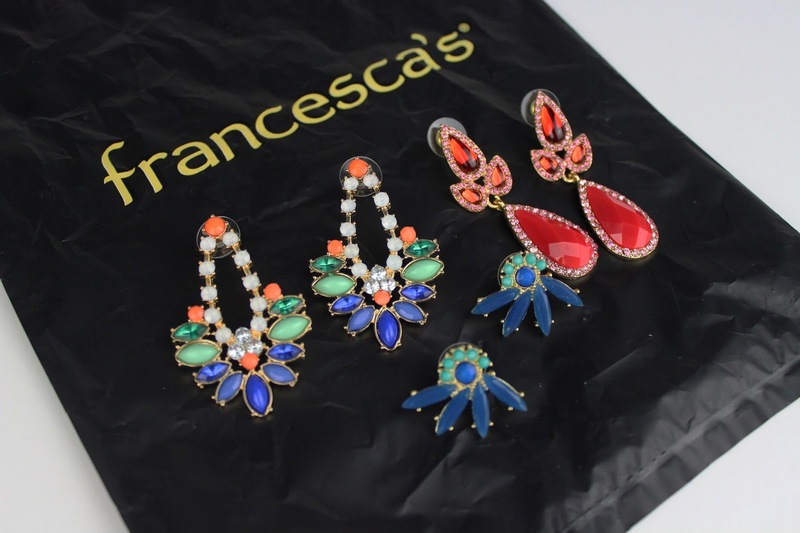 I decided to pop into Francesca’s to see what they had in store and I saw this amazing carousel of earrings, not to mention they were having an amazing deal. So yes I took total advantage. I only decided to purchase three pairs, if I came home with as many as I wanted I think my husband would have freaked! More recently I have been drawn to the bold statement earrings because my closet has grown into simple tops and comfy jeans. I normally wouldn’t purchase dangle or chandelier earrings, but I am trying to branch out of my comfort zone and try some things I normally wouldn’t.